There are so many new vegan cookbooks coming on the market that it's sometimes hard to keep up. We needed a whole new page to cover the newest books, and these new ones are fabulous. Isa Chandra Moskowitz remains the highest selling vegan cookbook author and further adds to her collection with two new books on this list. Colleen Patrick-Goudreau adds to her repertoire with The Vegan Table, challenging Isa for most decorated. I love this new seasonal twist on vegan cooking. Actress and activist Alicia Silverstone makes her way onto the list with The Kind Diet, an influential book that offers three ways to go vegan. 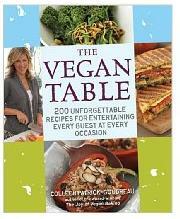 The Vegan Table, by Colleen Patrick-Goudreau, is a veritable guide to vegan meal planning. People are constantly asking me for menus for complete days of vegan food, and now I can just refer them to The Vegan Table. There are menus for Thanksgiving, Jewish passover, for date night, and more. Colleen's 200 vegan cookbooks recipes are delicious, but also relatively simple. Once you have a full cabinet of spices and baking supplies, you can whip most of these dishes up in a snap. I love the spring rolls with peanut dipping sauce, the frushi (fruit sushi), and the cashew cream recipes. I love that it's organized according to seasons because it makes it easier to find recipes that correspond with vegetables that are in season. I also love the little tips splashed throughout the book, which expand upon the recipe's details. 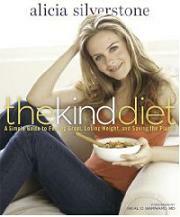 Alicia Silverstone wrote The Kind Diet based on 11 years of her own personal experiences with veganism. She had been collecting recipes and stories of people whose lives were changed with a vegan diet, and people kept asking her to publish it. Alicia found that veganism gave her clear skin, great energy, and an end to digestive problems. She finally did publish and her book is getting rave reviews. The Kind Diet offers three ways to go vegan, from simply "flirting" with the diet slowly to becoming "vegan," and then to being a "superhero," focused on a macrobiotic, healthy diet. 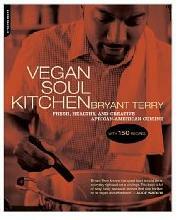 In Vegan Soul Kitchen, Bryant Terry takes on the common misconception that Southern soul food has to be laced with animal products and cooked for hours. His recipes are fresh and healthy, and absolutely delicious. He has several easy vegan recipes dealing with greens like collards and spinach, as well as classics like gumbo, grits, black eyed peas, cornbread, and BBQ. Bryant offers a good balance between quick, easy recipes, and more labor-intensive works of art. 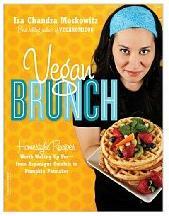 As the preeminant vegan cookbooks author, Isa Chandra Moskowitz's Vegan Brunch was highly anticipated. Who among us isn't curious to see how it's possible to make vegan omelets? Or how bacon can me made without premade meat substitutes? Vegan Brunch delivers, and has garnered high praise. There are selections that are soy-free, and some that are gluten-free, so if you have specific dietary concerns, they can be met. 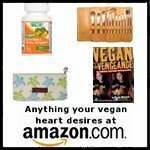 The recipes are exciting and fresh, and often the first of their kind in the vegan world. You definitely need to try the "crab"cakes made from tempeh, the bloody mary's, and the broccoli quiche. Isa Chandra Moskowitz and Terry Hope Romero had so much success with Vegan Cupcakes Take Over the World that they couldn't resist following it up with a vegan cookie book. 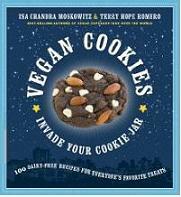 Vegan Cookies Invade Your Cookie Jar is just as cute and fun, and with really tasty cookies. There's no reason these cookies wouldn't satisfy even the most discriminating dairy-lover. Just like the cupcake book, there are tips and hints at the beginning of the book and tons of gorgeous pictures of the goodies. My favorite vegan cookie recipes are the Black & White NYC style cookies, the snickerdoodles, and the sweet potato blondies. If you take any of these cookies to a party with omnivores, they will be shocked and awed at the flavor. 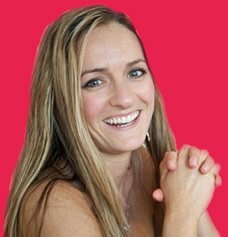 Jennifer McCann started her vegan career with a highly successful blog on the lunches she was feeding to her young son, and that blossomed into her first vegan cookbooks on lunchboxes. Now, she has come out with Vegan Lunch Box Around the World, which features an amazing assortment of culturally diverse lunchbox meals. These vegan meals don't need to just serve children, they are sophisticated and filling enough for adults as well. Readers of Jennifer's books tend to be not just vegans or vegetarians, but also parents with children who have food allergies. The food spans the world with recipes from Asia, India, the Middle East, Eastern Europe, Africa, and all over the Americas. The food in the tropics is notoriously exciting, from Jamaican jerk spices to Thai curries, but it often excludes vegans from its cuisine. 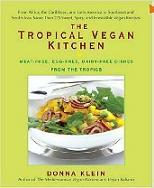 Now, with The Tropical Vegan Kitchen, Donna Klein allows us all to participate in its splendor. The book is jam packed with tropical fruit recipes, beans, and vegetables, and offers tons of ideas of sauces and spices. Some of the recipes are more complicated, but there are plenty that are easy enough for even the most inexperienced cook. 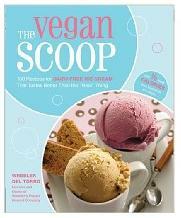 The Vegan Scoop is a collection of 150 ice cream recipes written by Wheeler del Torro, the maker of Wheeler's Frozen Dessert Company. Wheeler is famous for unique ice cream flavor combinations, and the book does not disappoint. There are recipes from the basic vanilla, chocolate, rocky road, mint-chip, to fig, papaya, and ginger ginseng. The recipes are amazingly simply-- most only require a handful of ingredients. While almost all the recipes in the book are made with a soy base, Wheeler does explain how to substitute in other nut milks for those people who try to avoid soy. Though healthier than non-vegan ice cream, taste and flavor are not lacking in these delicious ice cream recipes. The Vegan Scoop is making it to press just in time for the summer, and just in time for you to master 150 new flavors of homemade ice cream.